This board member (30s to early 40s) has probably been successful as an entrepreneur or is, perhaps, rapidly rising through middle management in a larger organization. He/she wants to “get things done”. His/her impatience with the typically slow nonprofit rate of progress can be channeled and directed by the CEO or Board Chair. Discouraged by lack of action, this director may quietly exit the board on the pretext that work pressures have increase. On the other hand, if properly nurtured, this category can offer substantial leadership contributions. Serving on a nonprofit board has likely become a family or company tradition for some directors. (Some local nonprofits are now about 100 years old or older.) Regardless of the person’s dedication to the mission, nonprofit board service becomes part of this director’s DNA. Often they develop into respected leaders and can be conduits to modest or substantial donations. In addition, they have access to interpersonal networks that are useful in recruiting other able board members. This cohort should be valued and their contributions, acknowledged. This is a director who attends meetings regularly, occasionally makes an interesting comment. 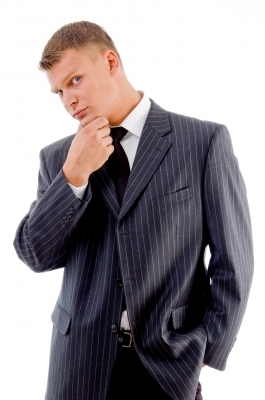 He/she is dedicated to the mission of the organization and can make substantial financial or other contributions. One such director I observed, volunteered to assist the staff with a difficult field problem. According to Frankel, these directors are “less critical and offer encouragement…. ” However, like many other nonprofit board members, across behavioral types, avoid rigorous discussions at board meetings. If substantial conflict appears between factions of the board on a major issue, they may resign instead of taking an unpopular stand. 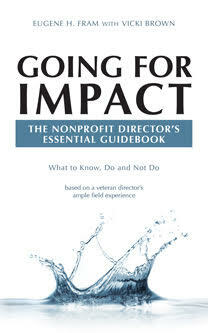 This is a director who has a substantial understanding of the nonprofit sector. He/s has served on other nonprofit boards and is dedicated to the nonprofit’s mission. He/s has a desire to help move the nonprofit to its next level of service to clients. He/s often brings bold or different perspectives to the board and management. She/h knows that to achieve growth and improve client services, it is necessary to “sell” ideas to other board members, as well as the CEO. It’s important that the nonprofit entrepreneur and CEO are on the same page in terms of the organization’s future and potential to serve clients. If not, the CEO, unfortunately, may view the entrepreneur with his/h “fast track” style as a disrupter. An overview of nonprofit boards tends to focus on the unique set of skills and work experience they bring to the table (doctors, professors, accountants, full-time homemakers etc.) A closer look at the board suggests another layer of classification i.e. individual styles, motivation and behaviors. Herein is challenge and opportunity to develop meaningful board experiences for each individual who has said “yes” to the call to service.